This wedding is especially close to my heart. Tiffany and Nancy are great friends of mine and it was an absolute privilege to help them plan their wedding day! 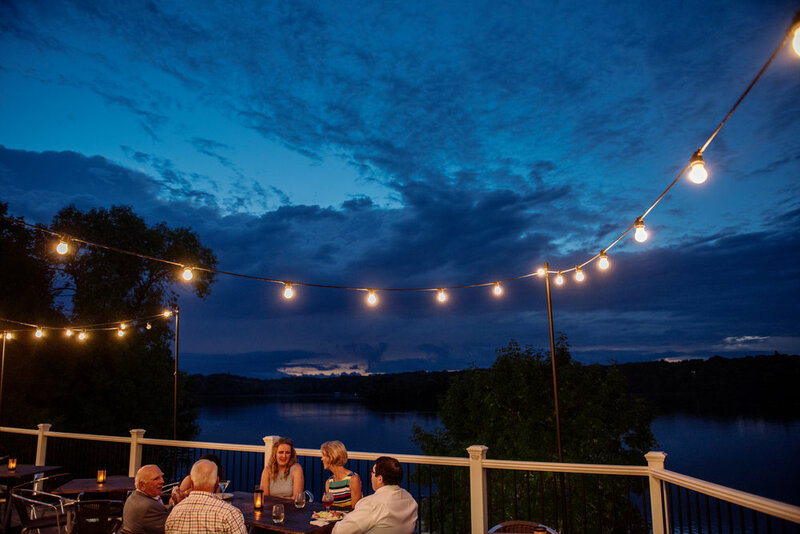 Although the couple lives in Washington, D.C., they planned an intimate destination wedding to take place on the same lake as Nancy's parent's family home in Minnesota. These ladies are truly family-oriented and focused their big day on being surrounded by their loved ones. Tiffany's family flew to the Mid-West from New Jersey and rented the house next to Nancy's family home for the week. Guests gathered from all over, including Bermuda, California, Tennessee, and New York. 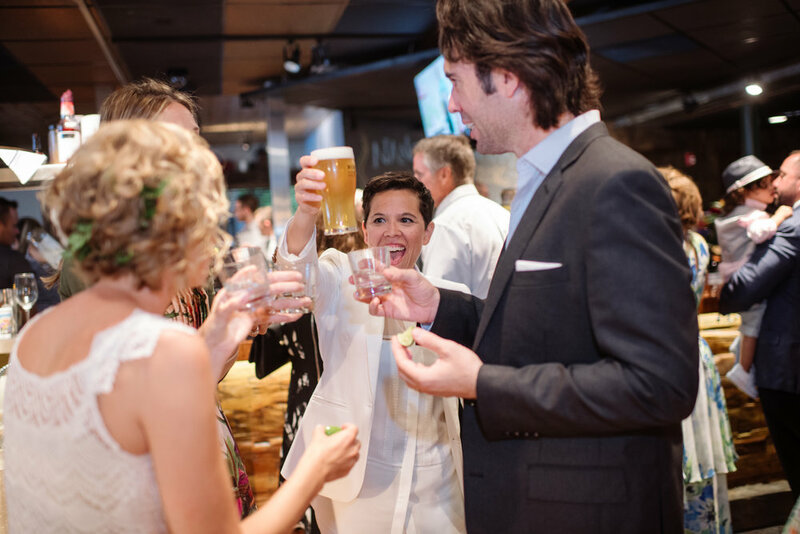 The couple tied the knot and celebrated their love at the incredibly fun brewhouse, Birches on the Lake. And of course their beloved and adorable dachshund was part of their big day! Tiffany and Nancy, thank you for letting me be a part of your wedding. Scroll below to see the fabulous evening that unfolded on beautiful Long Lake. Food: Red Wagon Pizza Co.